Adding Styrofoam to cement instead of gravel is a great way to make a lightweight solution and recycle some of that excess foam that is found in nearly every box shipped with a delicate item. It keeps your packages from getting damaged, but it's a nuisance to get rid of. Styrofoam is being added to landfills at an alarming rate. Using free Styrofoam is an excellent way to save on building costs and the lightweight cement is easier to work with. While it won't make a sturdy foundation, Styrofoam cement can be used as non-load-bearing interior walls, insulation and garden planters. 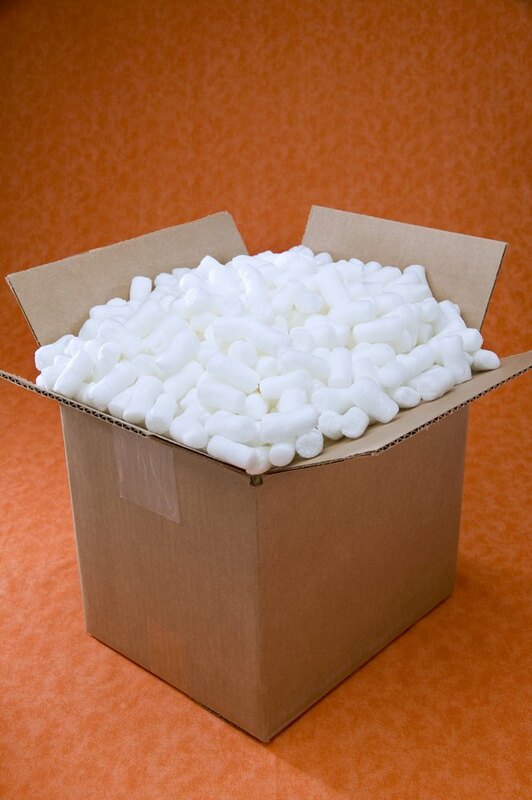 Styrofoam is one of the main materials used to pad items during shipping. Put on safety glasses and long-sleeved clothing. Set your wheel sander to the lowest setting and turn it on. Touch the edge of the Styrofoam to the sander and Styrofoam chunks will begin to fly. Continue sanding down Styrofoam chunks until they've all been turned into fine granules. 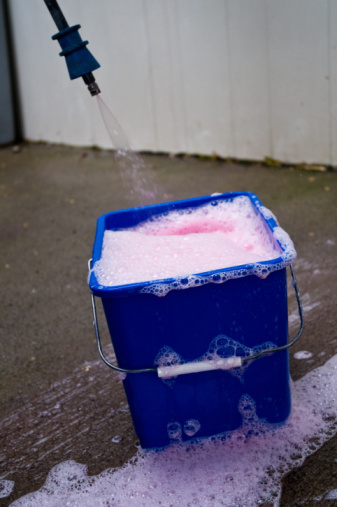 Sweep the granules into large garbage bags. Mix a batch of concrete using 1 part water, 2 parts cement and 3 parts Styrofoam granules. Mix the cement with the Styrofoam first and then add in the water at the end. You should have a damp mixture that isn't too wet to form into shapes. Pour the mixed cement into a form in the shape you want to use in your project. Tap the side of the form while the concrete is setting to pop any air bubbles. Let the cement sit for one to two days before using it in any construction.